DC looks as if they may have an upcoming hit on their hands in the same tone of where they found success before; the grounded nature of the Batman universe. The Dark Knight Trilogy needs no explanation with its grounded roots, and now Joaquin Phoenix is taking on the mantle of the Clown Prince of Crime in an all-new Joker origin story. I would say the Joker is one of the most well-known villains among fans and average-joe viewers, and has had quite the mysterious past. We have been given origin stories before, but the individual has also been portrayed as the enigmatic character who has a background that still evades followers. So, which is better? Knowing the Joker’s origin or keeping it a mystery? Below we weigh the strengths of going with either a mysterious Joker or a developed Joker. This is actually the method I prefer, but that does not mean I am against the origin stories. First let’s take a look at the character’s mysterious, unknown background. This approach brings a sense of intrigue to the character which reflects his unpredictable nature. When we have no idea about his past, it makes the reader/viewer try to make connections with answers that we do not have. What makes the character tick? Why is he the way he is? What is his goal? Does he even know? Without his background, we don’t get a round character, which to me, helps emphasize the characters inconsistencies and unpredictable nature of his crimes. Below are some of the best-known adaptions involving the perplexing, unknown background of the Joker and how giving the character an origin limits some of his characteristics. Now don’t get me wrong, the Joker will always be mysterious, but it took the character a while before readers actually knew his background. 1940 brought us the first appearance of the Joker, and it wasn’t until 11 years later that an actual origin story was explored in “The Man Behind The Red Hood,” Batman Vol. 1 #168 (1951). According to the DC Archives: Batman Vol. 8 he was created by Bill Finger, Bob Kane, and Jerry Robinson during a time in the 40s and 50s when comics villains were taking heat for negatively influencing the youth of society. Due to the backlash, many companies were dropping the monster, zombie, and crime themes. The Joker was a response to this as they wanted to take more of a comedic approach making him more mischievous than murderous. The intriguing part is that even though he was more of a prankster to Batman, his look paired with his unknown background created quite the conjecture among fans. Yes, he was a comedic thorn in Batman’s side, but he didn’t look like the traditional clown since he was dressed as a man, sporting darker facial tones, which lead many to believe there was more to the individual than first thought. Later in 1973, Danny O’Neill and Neal Adams would take over bringing the Joker to his murderous ways. Why did he look like a clown, yet dress like a man? That was a question that took well over a decade to answer leaving the intrigue and mystery to fans. To this day the best depiction of the Joker. Some may argue this, but a strong majority agrees that the late Heath Ledger’s take, along with Nolan’s vision, has provided a standard that all others can aim for. How was this version so successful (aside from superb acting and amazing direction)? 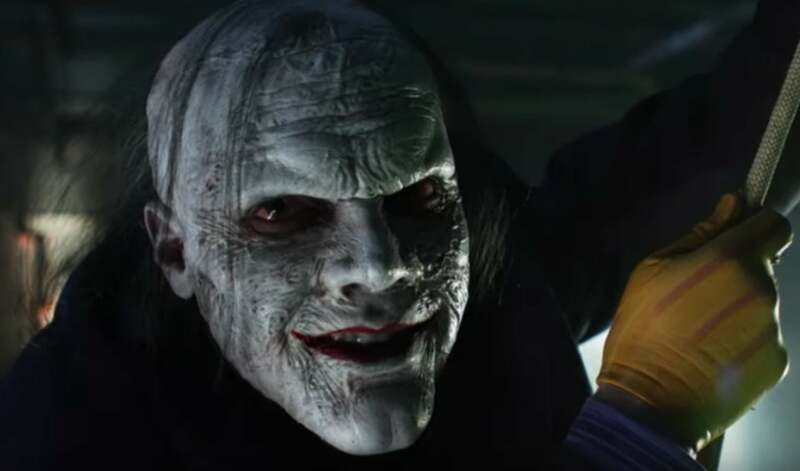 Nolan wanted this version of the Joker to be unpredictable, and in doing so, he gave a large amount of creative liberty to Ledger. This matched the unknown origin approach that was used. The fans had no idea where the character came from, and Nolan wasn’t even sure what he was going to get, which made the character all the more intriguing. How often did we want to see Ledger’s Joker on the big screen? I don’t know about you, but I could never get enough! It was never clear exactly what he wanted to do. In fact, the character wasn’t even sure! Remember when he speaks with Harvey/Two-Face in the hospital and talks about being a dog chasing a car and not knowing what to do with it if he caught it? Yeah, that’s unpredictable. Combine that and all his different reasons for having his scars, the unpredictability is what made the character. All right, so I am not looking at how well the charter was used in specific films, but once again the idea of a mysterious background. Suicide Squad didn’t just make us wonder about the Joker’s background, but what he was actually trying to achieve (beyond getting Harley back). Yes, a lot was due to bad edits that cut out large parts of Jared Leto’s Joker that he has been vocal about, but that element of mystery and unpredictability was still there. I completely understand why people didn’t like the modernized look with the tattoos and whatnot, but I was more curious about other areas. How did he get them? Why was he so concerned with getting Harley back? Does he truly love her or does he need her? If he truly does love her, then why does she seem to be the only one he cares for so deeply? We don’t have his actual background, so we have no way of knowing. He has never cared for her as much as he seemed to in this film, which is a contrast to other interpretations. Even look at Batman: The Animated Series, where he cared for Harley, but she came across as expendable. His metal-capped teeth were also an issue shrouded in mystery. It had been originally established that Batman had knocked his teeth out after Joker had killed Robin, but then he was seen in the film already having the new teeth when he first met Dr. Quinzel. In an interview with Screen Rant, David Ayer said that the timeline had been changed. So where does that leave the issue? Well we can’t be sure if it was purposeful or not as Ayer went on to say that the final film was much different than his and could have been done out of negligence. Hmm. Regardless, the lack of a concrete background leaves the character’s motives for the audience to decide. Once the Joker was given a background, we then were able to have a round character and understand (to a degree) what he was possibly trying to achieve, or at least WHY he acts the way he does. This can also be a benefit as the audience was then presented with a character they could possibly empathize with. The traumatic backgrounds of his fall into debt, the death of his wife and child are clear indications of triggers that could drive a sense of PTSD now giving the character a reason (even if unethical) behind his actions. This has been where the Joker theory of “one bad day” stems from. Below are a list of the positive reasons for giving the character a background. 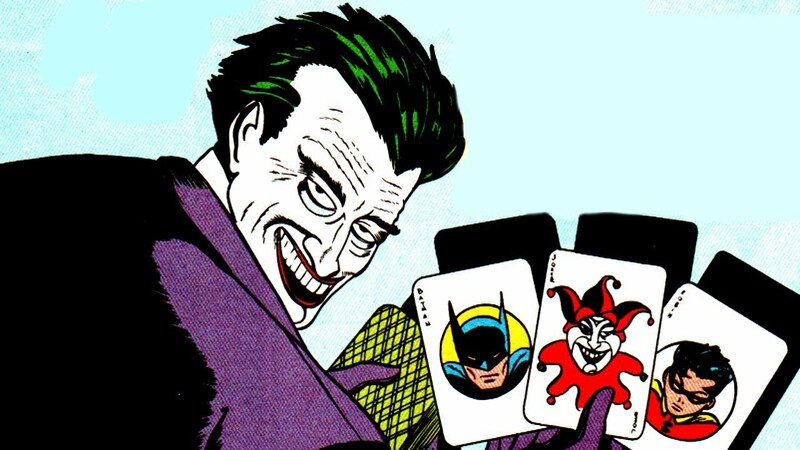 Released in 1988, Alan Moore’s extension of the Joker origin was not originally meant to be canon, but has since been a foundational origin story to date. In the story, the Joker was a nameless lab worker at ACE Chemical who was an aspiring comedian. The issue? He wasn’t very good. He had a wife with a child on the way and was in dire need of money, so he agreed to help people break into ACE who had the insider wear the Red Hood in order to be the focal point for the police. Prior to the robbery, his wife, Jeannie dies of an electrical accident, which is the beginning of the breaking point for the character. As the robbery broke down, the character tries to escape, swimming through the chemicals to emerge as the Joker. This origin gives readers a possible background for Joker’s actions. One could understand the trauma the character must have been through not only feeling the financial pressure to provide for his family, not being successful at a loved hobby, losing his wife and unborn child to an accident all while being the set-up man for the robbery. With all of these events happening so closely together, of course, a person could snap. That connected with the chemical bath he took gives a sense of reason behind the Joker’s destructive path, and somewhat humanizes the character, and in his jaded nature, he wants others to feel the pain that he has felt. 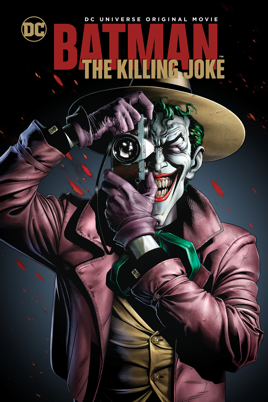 The Guardian wrote a report on the 30th Anniversary of The Killing Joke, which gave more insight into what they labeled a “46-page psychological slug-fest”. The Joker finds life in Batman as his foil. He doesn’t necessarily look to drive Batman mad because he already views him as such, just in a different way. This was also seen in The Dark Knight with the interrogation scene with Batman and the Joker. At least in this comic, he wants to drive Commissioner Gordon insane and displays his lack of limitations by stripping down Gordon, as well as Barbara, in order to dehumanize them and obviously paralyzing her. Interestingly, in hindsight, Moore felt that the comic was too violent and over-sexualized, but his work has become a staple for the character as well as emphasized the “one bad day” idea that also follows the character. The Joker wants to drive others to insanity as he was, and he doesn’t have any rules that hold him back from doing so, but sees his foil (Batman) as a fun antagonist to play with along the way. Tim Burton’s Batman 89 has been seen as a major starting point for superheroes on film. It’s a film that I feel still holds up today for the most part. With the movie, we got an origin focus on not necessarily Batman, but the Joker. This was the first time the character had been referred to as Jack Napier (which according to CBR Burton created as a nod to Jack Nicholson and Alan Napier who played Alfred in the 1960s Batman), a psychotic, yet educated gangster with no remorse. Even though the acid bath from a chemical plant stays intact, there is a much deeper connection presented: Napier created Batman by being the killer of Bruce’s parents (definitely not canon) and Batman then creates the Joker by dropping Napier into the chemicals. This clearly creates a lasting connection between the two, yet also makes it more of a revenge narrative according to an article by AV Club. It’s a strong, interesting connection none-the-less which brings further understanding as to why the two are connected forever. Batman: The Animated Series would have fallen into the cons category as it never really focused on the Joker’s origin until one main episode. In November of 1992, the BTAS episode “Dreams in Darkness” aired, which had Batman in a straitjacket and interrogated by Dr. Bartholomew who mentions many of his former patients, including the Joker who he references as Jack Napier. This alias was also used in the episode “Joker’s Wild” and again in the episode “Beware the Creeper” in The New Batman Adventures. Napier was also used in the feature film Batman Beyond: Return of the Joker. In 2017 the comic book White Knight confirmed that the Joker’s alias was, in fact, Jack Napier. This continuation makes sense stemming from Batman 89 coming out a few years prior to BTAS and makes for consistency in the genre which negates the idea of having to continually establish an origin and makes it easier for fans to establish the character’s foundation and apply it to whatever film or comic he is seen in (I mean how many times have we seen Bruce’s parents killed on screen?). Where this can get somewhat murky is in how the name is used. As seen above, Jack Napier killed Bruce’s parents, so can the viewer then assume that is the same in BTAS or any other time Napier is used or is it merely an alias and not to be connected with the film? Gotham focused on the origins of many of Batman’s rogues’ gallery. They actually did a good job in establishing the Joker’s origin over a couple of seasons. There were hints, even in the early seasons, and they had always said that there would be an influence for the actual Joker, which often threw many viewers off-course when trying to identify who it may be. Jerome Valeska and his twin brother Jeremiah were the result. Jerome came along and had all the makings of the Joker. The maniacal laugh, the extreme composure, yet enigmatic characteristics, and even the cut up face from Batman: Death of the Family comic. Jerome had roots with the circus (much like The Killing Joke), ravaged the city and seemed unstoppable, but wasn’t the end result of the Joker. We later found out that he had a twin brother, Jeremiah, who he passed the torch to who would not only don the moniker, but also get knocked into a vat of chemicals by Bruce Wayne ala Batman 89. The creators took a page from Burton’s origin, but gave it their own twist. At the root of it, Bruce creates the final version of the Joker. According to CBR, the purpose was that Bruce Wayne should actually take the blame. If he had not delivered a specific speech which made Jeremiah emerge from his underground office, he never would have left, and he may have never opened a package from Wayne Enterprises that Jerome left because of Bruce’s words. In trying to do good, Bruce actually led to the creation of his worst enemy, which connects the two together. This was an interesting twist to the main plot detail of being created with a fall into chemicals. Gotham would lead fans in one direction, then throw in some twists and turns resulting in a new take to an old idea. Having the twin brothers eventually make up the Joker gave me a sense of the character’s schizophrenic nature. Still, it gives viewers the background behind how and why the hero and villain are forever connected. This clearly looks to be the definitive origin story for the Clown Prince of Crime with the new alias of Arthur Fleck. From what we know, the individual is a clown for entertainment, which could be somewhat derived from the idea of him being a comedian in other iterations. His mother looks to suffer from some type of mental illness which could very much be hereditary although WhatCulture reported that he is actually sane possibly acting as an insane man for revenge against Gotham, which would take influence from Case Study which consisted of beautiful artwork from Alex Ross. If you ask me, I think his mother will end up dying or being killed which will act as his breaking point, and be a constant trigger for him moving forward. Now remember, none of that is fact, but pure speculation at this point. I am hoping that there is a major turning point that makes him crack, otherwise it wouldn’t seem to have as much of an impact. If he is an “average Joe” who just becomes the Joker because society is crumbling, I feel that would take away from the root of who the character is. How will he and Bruce be connected? There seemed to be subtle hints in the trailer, like when he was walking along the wall with his clown nose on making eye contact with someone. We next see him reaching through the gate making a young boy smile, which most are assuming is a young Bruce Wayne. My thoughts? (which really don’t matter at all) is that Fleck views Thomas Wayne as an elitist who are the real issue with Gotham. I also feel that he may begin to get a type of cult following which will lead to individuals who are influenced by Fleck’s movement, who will then kill Thomas and Martha Wayne. I could be way off, but I have a feeling this film will definitely establish a connection between the two characters. Whether it will be something familiar, or completely new, we will have to wait and see. None-the-less, I am extremely pumped to see this movie and what it has to offer! What do you think? Is the Joker a stronger character for having a known background or do you prefer the unknown? Regardless, a mix is always wonderful which I think having different possible backgrounds, and an unknown history makes the character that much more of a mystery. Do you think the new movie will begin to work as the definitive origin story? Will he continue to be known as Jack Napier, or will it now be Arthur Fleck? Leave your thoughts in the usual spot, and thanks for reading! Is the Joker better with or without an origin? “Lovers and MadMen,” Batman Confidential #7-12 (2007-2008), “The House of Hush,” Batman: Streets of Gotham #14-21 (2010-2011) and “Batman: Zero Year” — Batman Vol. 2 #0, #21-33 (2013-2014).